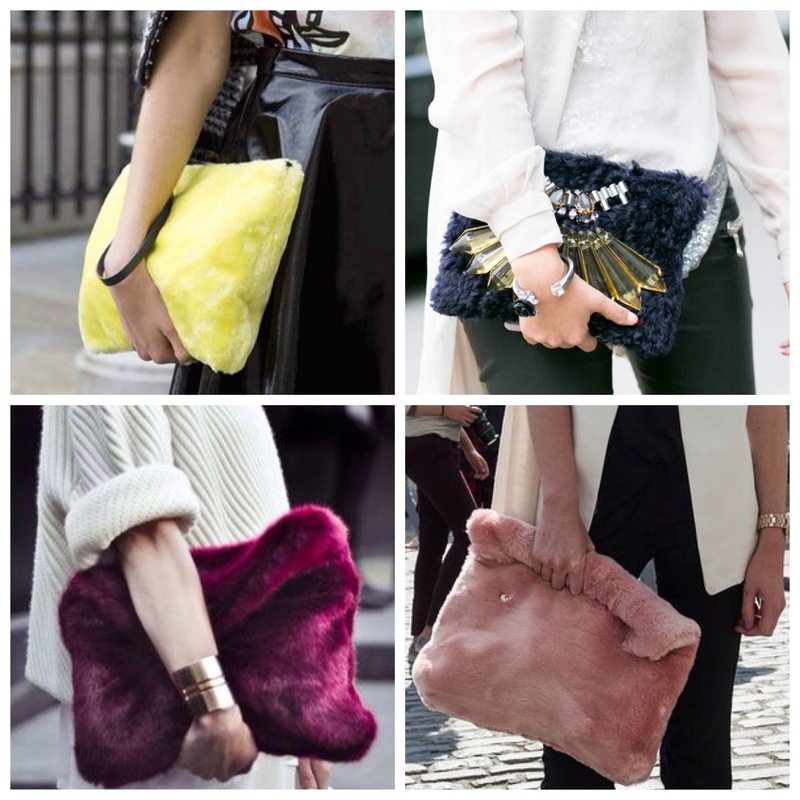 During the fashion week days, when it comes to accessories, street style shoots gave us the best and most creative ideas. Posting about those days got me really inspired to do this post – i´ve always defended a solid outfit with creative elements to make you stand out. 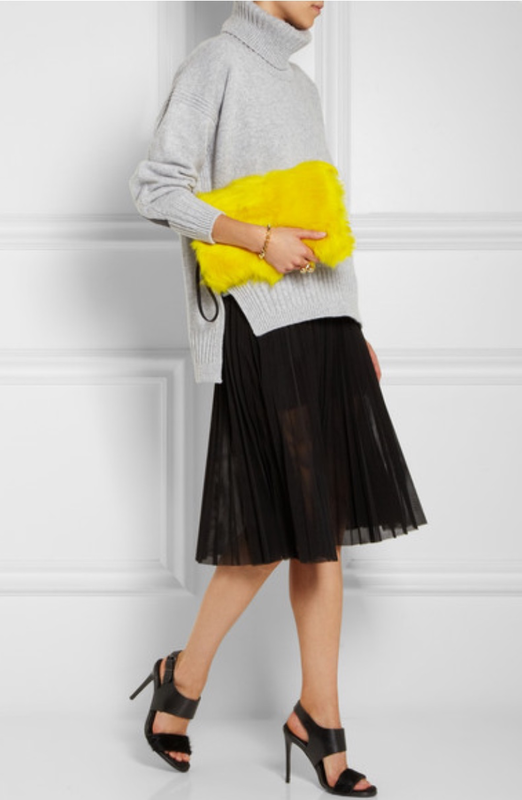 After a quick research, I found not only the designers responsible for such creative pieces – we´re talking about shoes, eye-wear, hats, jewls, but mostly clutches and small bags – but also the best clutches on earth, when it comes to giving wings to your imagination. The question about those accessories will always be: do I dare to walk on the streets wearing those statement pieces? Absolutely! 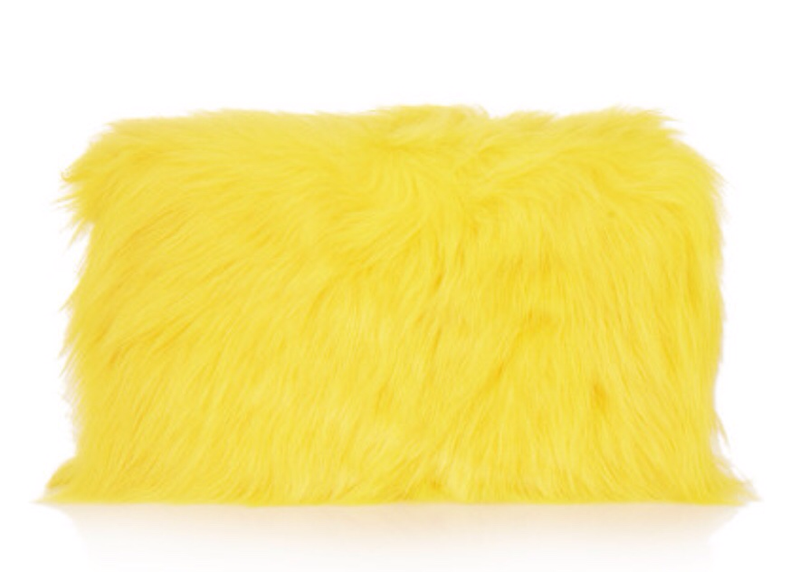 Anyway, among all the glitter accessories, the colorful pieces, the creative work including Disney characters and your daily cereals, something really caught my attention – the faux fur clutch. 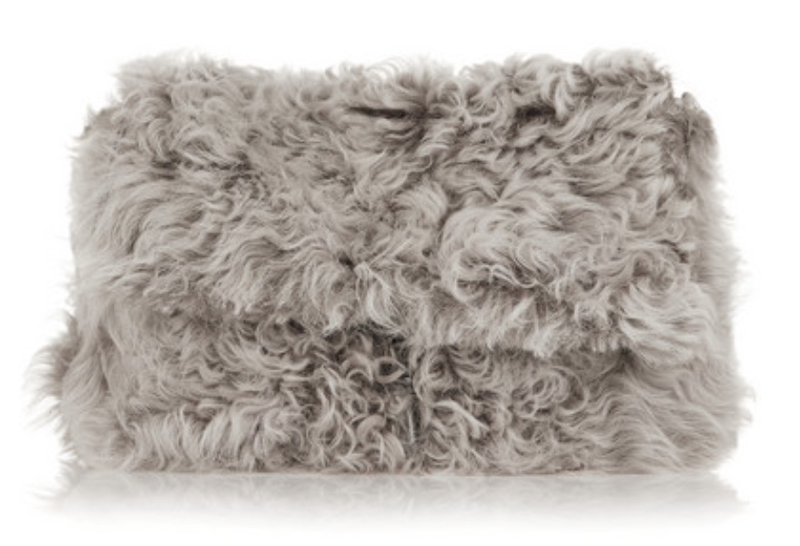 I believe i´ve told you before, I hate real fur. 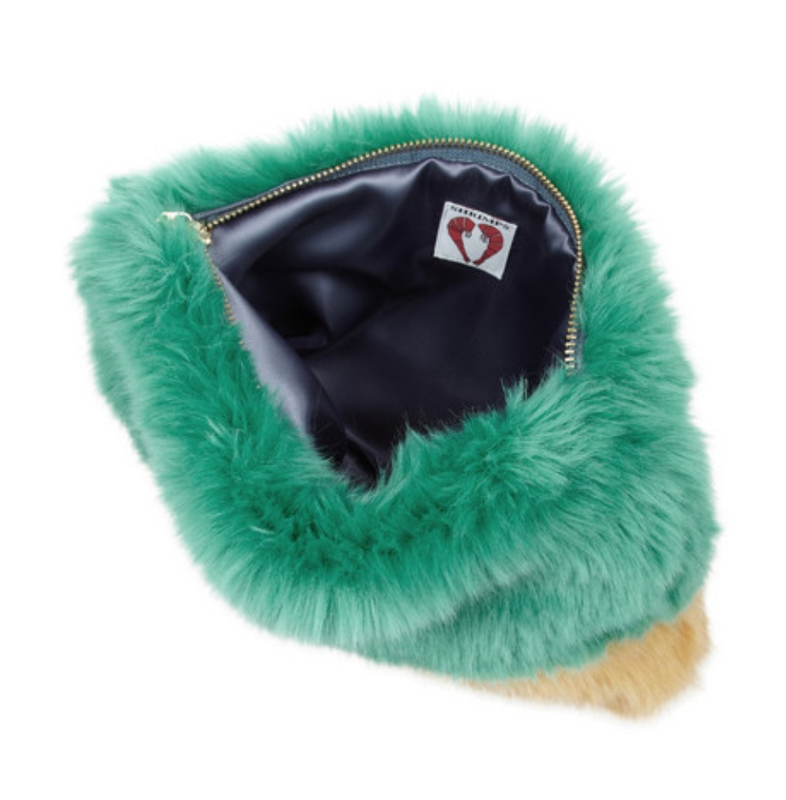 But when it comes to faux fur, the scenario changes drastically – from oversized coats, to details in your shoes, even when we´re talking about a mini Karl pendent from Fendi – I love them all. 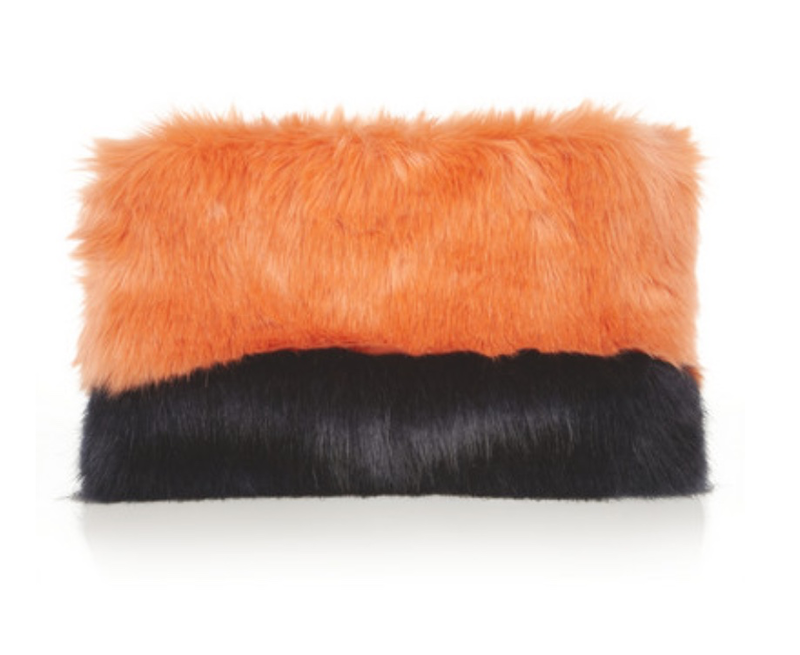 So when I spotted several girls wearing faux fur clutches, I knew I had to have one. So soft, so comfortable, so perfect!! Ooh, I like how that yellow one stands out!